Samčo, brat dážďoviek – S.W.A.G. There are also some pictures from the show. 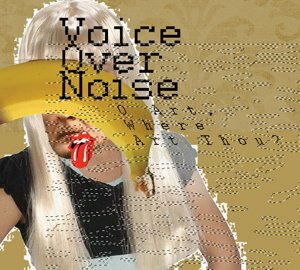 ‘O Art, Where Art Thou?’: an album by Voice Over Noise! New album of live recordings by Voice Over Noise, the ‘live plunderphonic’ trio from Bratislava, is out now on Divis. It mostly features material identical to live concert programme performed by the band over the last 3 years, but much of it is also based on live improvisations. Recorded in stereo, no overdubs. There are also couple of nice pictures from the show at the release party @ A4 – Zero Space (featuring also DJ Sniff and the trio SKIF++ from Amsterdam). O Art, Where Art Thou? For mailorders, promo copies and distribution please contact distribucia(at)34.sk. On 30th April, a special performance with Dalibor Kocian (vocals)… who is, unfortunately, located in the off-screen space on the right. The whole concert was only about 18 minutes long. Musica Falsa et Ficta from stanica on Vimeo.